Last month, we released new features in Project Management app. 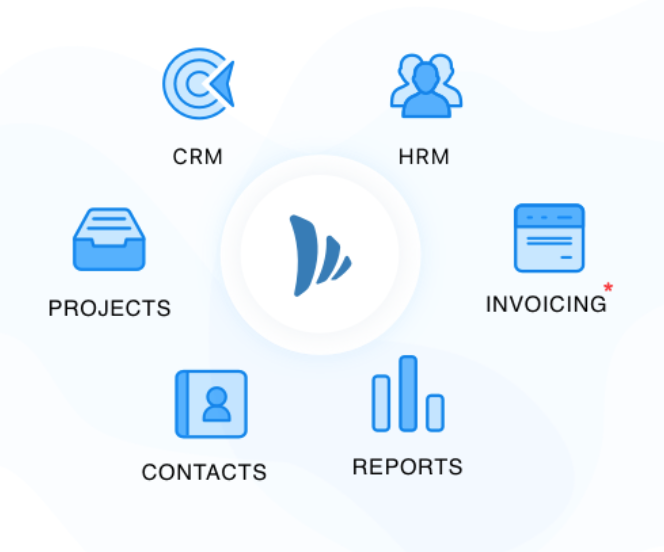 Today we are releasing new features for the CRM app: better contact management, deal management, automated deal and contact creation via ‘smart email address’. Early this year, we introduced Zapier integration. This was the first step to automatically create deals by capturing data from various sources (example: web forms). Sales Automation via email is the next step in that direction. We understand that “Email” is the single most important (and widely used) tool for SALES related conversation. If your organisation receives a small volume of emails each month (say a few hundred emails per month) you can easily create new deals, contacts and link them in TeamWave. As each deal has to be created manually, the data entry process takes up some time. What if your organisation receives a large volume of emails each month? Adding deals manually and associating contacts will end up taking a LOT of time. To save time and avoid data entry we have built a sales automation feature! At this time there are multiple ways of adding contacts to your TeamWave account. You can add each contact manually, bulk import contacts (.cv or .xls files) or sync with Google contacts, MailChimp contacts, etc. With multiple options of getting contacts into the CRM app there is a high probability of getting duplicate contacts. We can help you eliminate duplicate contacts with “merge feature”. Now you can easily merge contact persons and organisations with few clicks. After opening up the contact details page click on the ellipsis link present at the top, click on ‘merge’, enter the duplicate contact name/email in the search box and choose the contact from the suggestion. Select the contact details which should be preserved and preview – missing fields will be filled if the data would be available in the corresponding field of the duplicate contact. Finally click on ‘merge’ to save the details and delete the duplicate. As deals can be created by manual entry and bulk import (via ‘.csv’ and ‘.xls’ files), it is possible that you’ll end up with duplicate deals as well. In the deal details page click on the ellipsis link and click on ‘merge’. Enter the deal name, select the duplicate from the suggested list and choose the deal whose details will be preserved. Preview the details and click on ‘merge’. It’ll transfer all the related data (contact person, activities, emails, files, notes, followers) to the preserved deal and delete the duplicate. All contacts in your TeamWave account will be accessible to all the employees who have access to the CRM app. This will improve organisation wide data integrity and foster better collaboration. Editing contact details (name, email, phone number, custom fields, etc.) and linking/unlinking of the organisation in the contact details page can be done only by the contact owner, admins and the account owner. While employees will be able to add notes, upload files and schedule activities, they won’t be able to edit or remove activities, files and notes add by others. There is no change in mails and deals – they remain private to the salespersons.